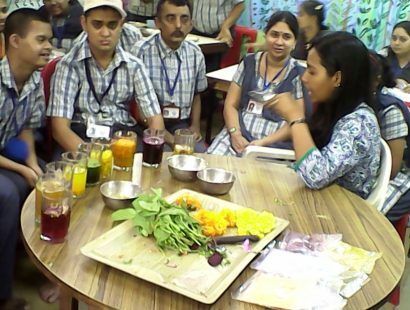 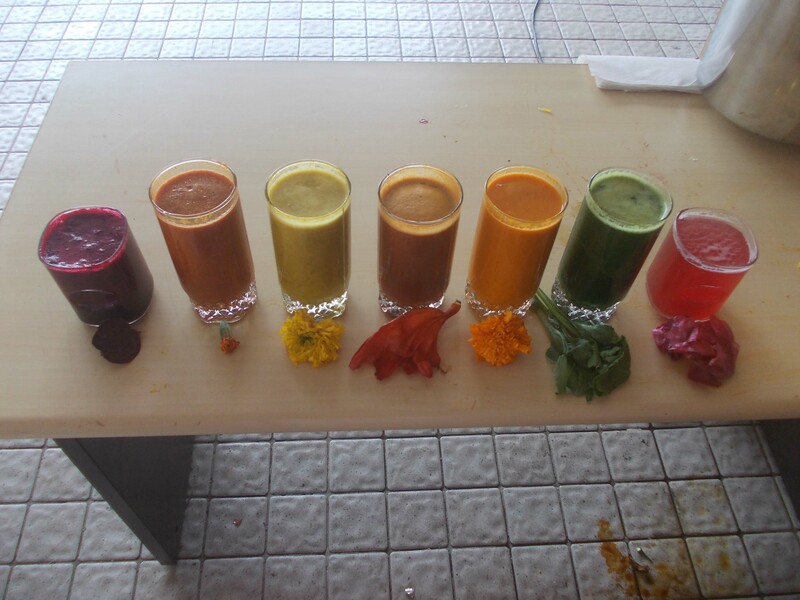 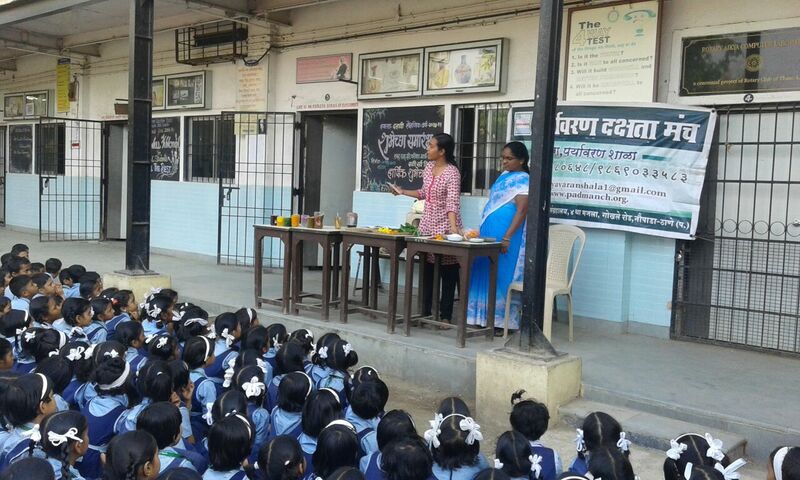 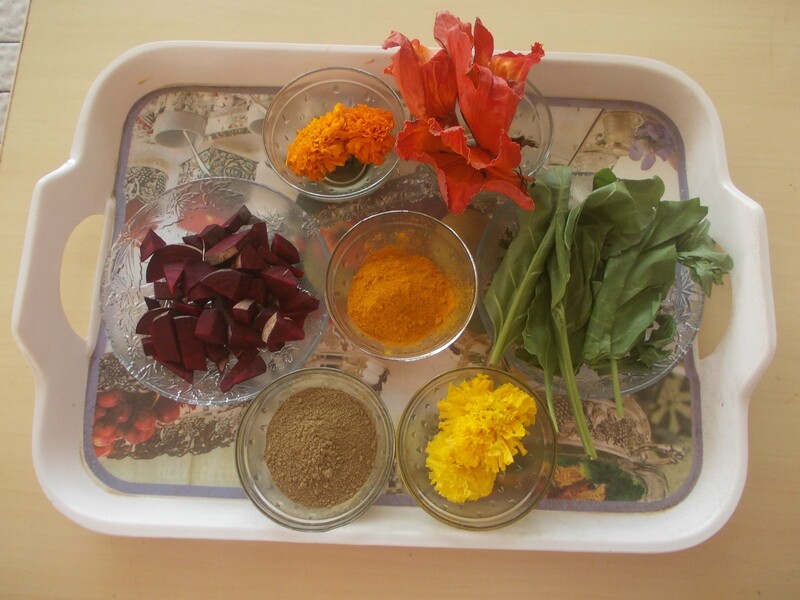 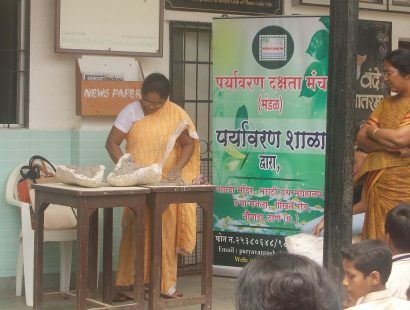 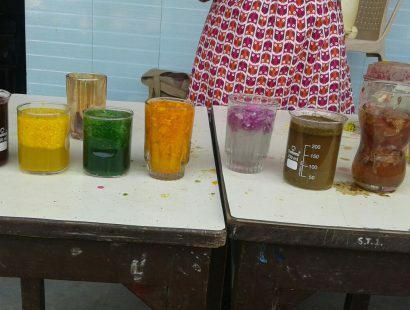 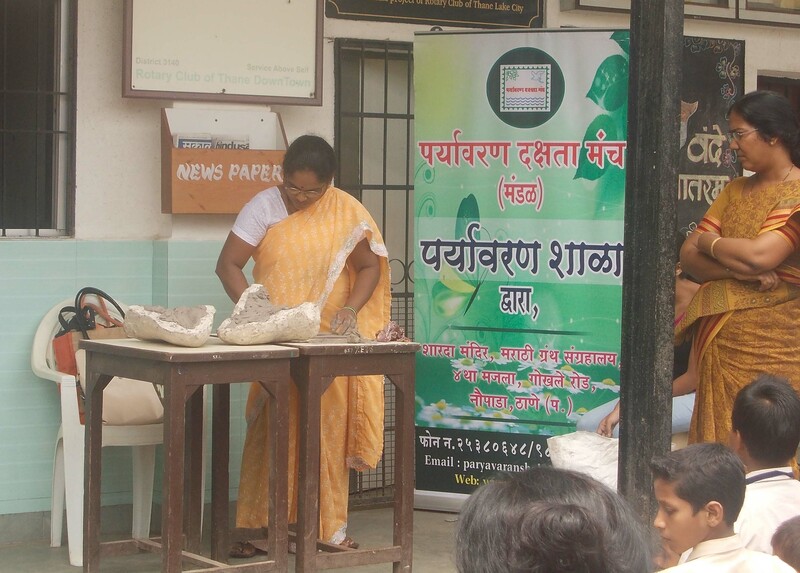 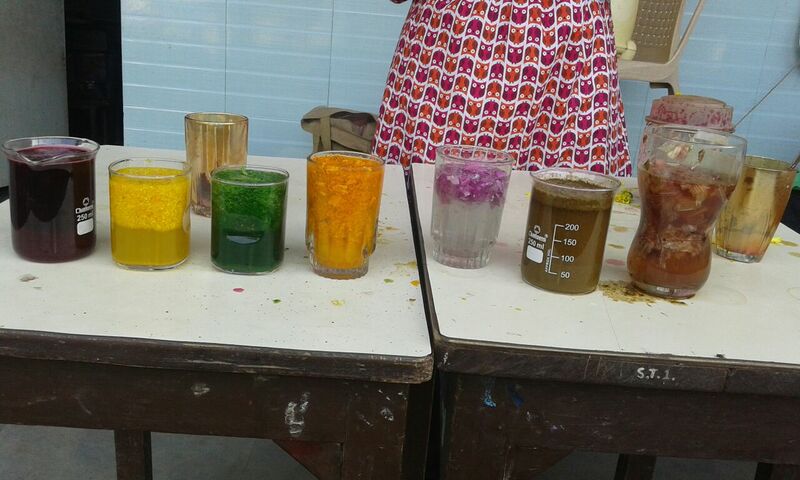 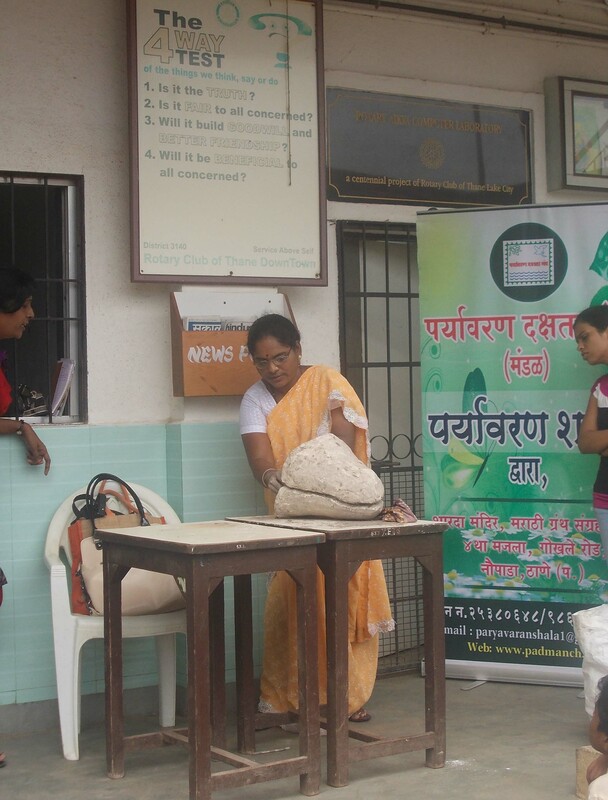 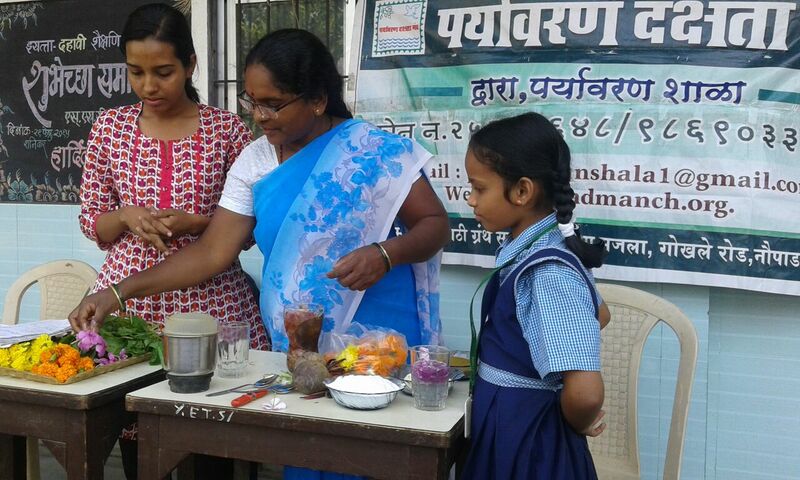 Workshops, lectures and programmes to teach people to make natural colours with easily available household materials are conducted. 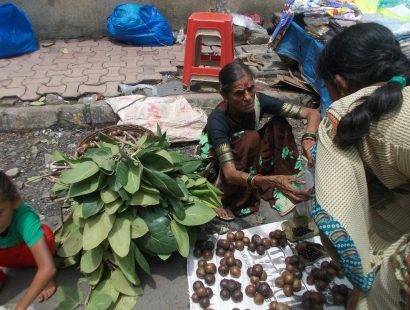 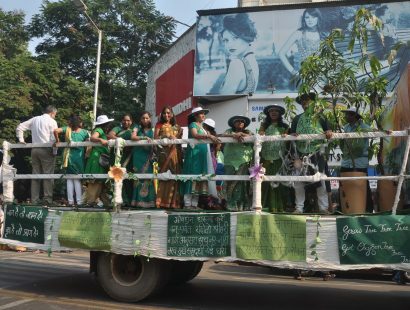 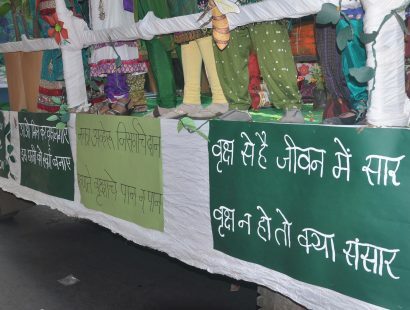 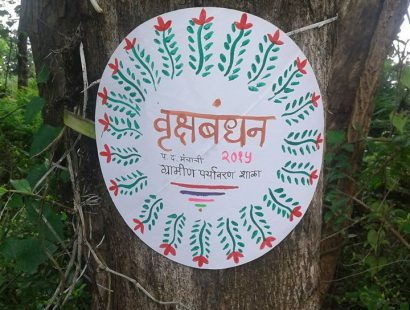 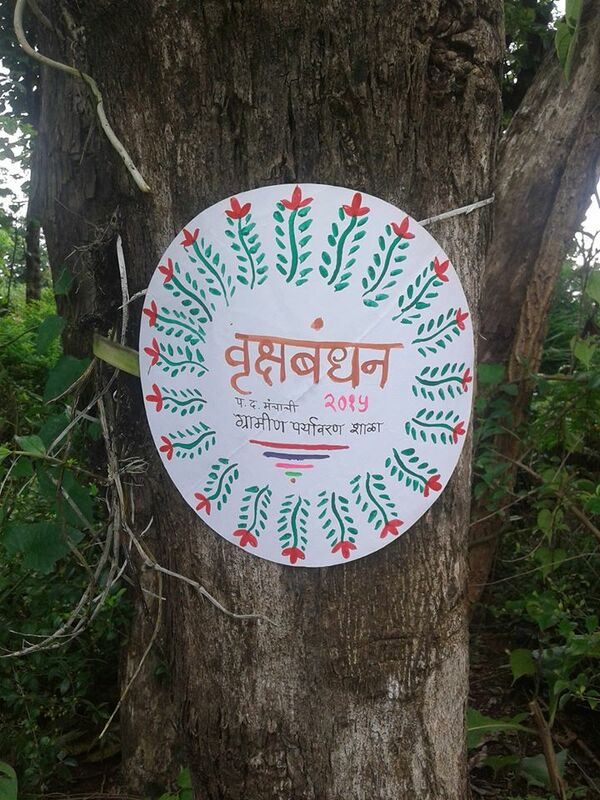 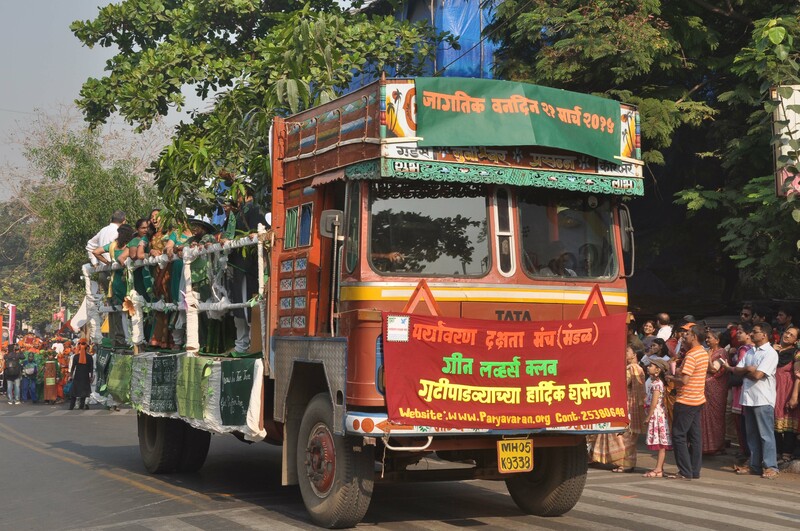 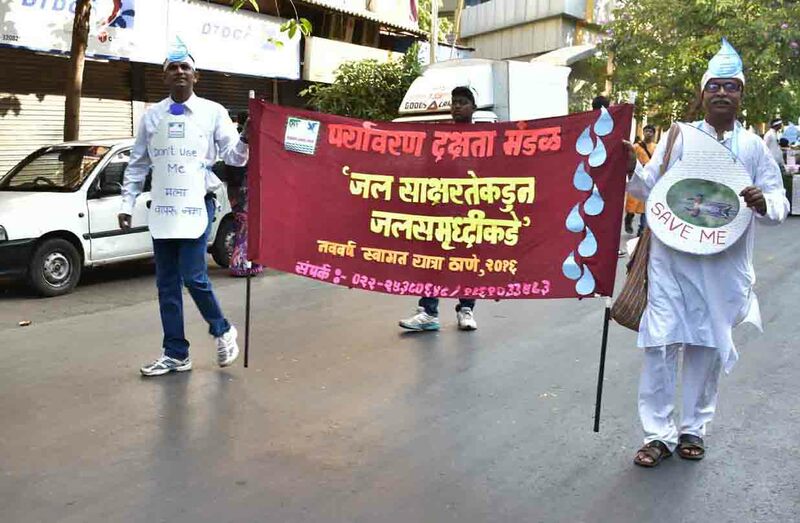 Emphasis is also made to avoid burning large holikas by cutting trees, instead people are encouraged to use dry twigs and leaves fallen on the ground. 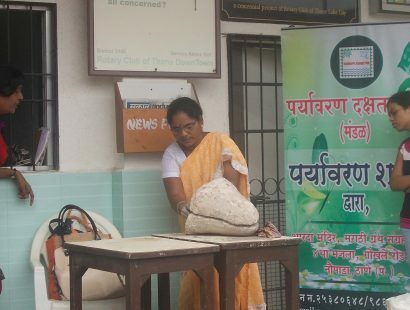 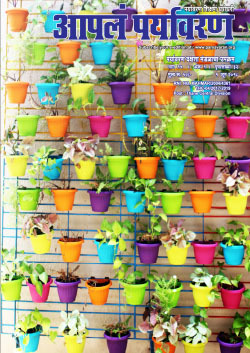 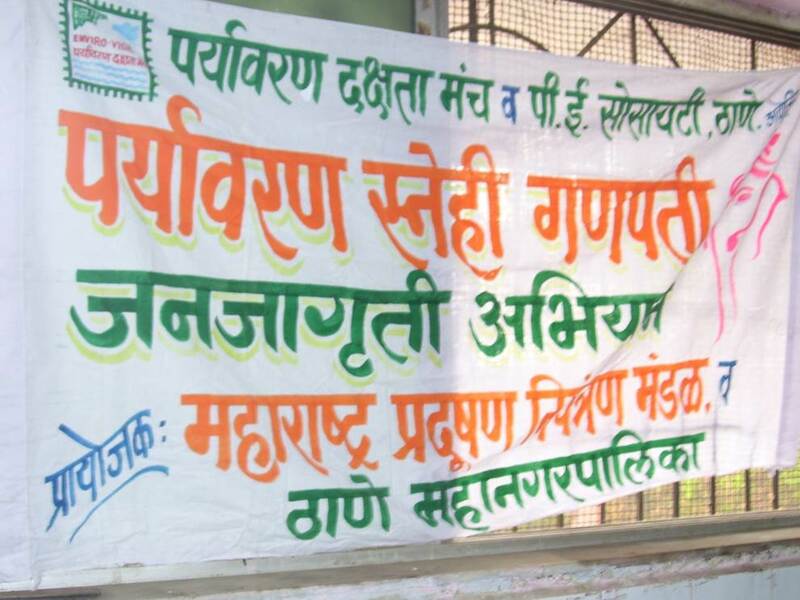 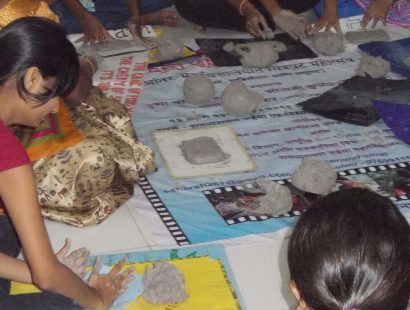 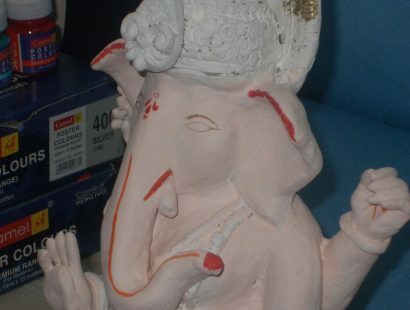 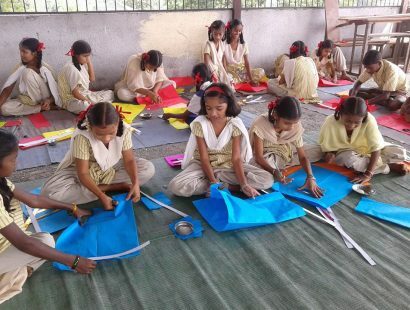 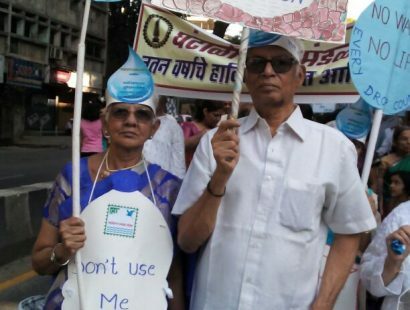 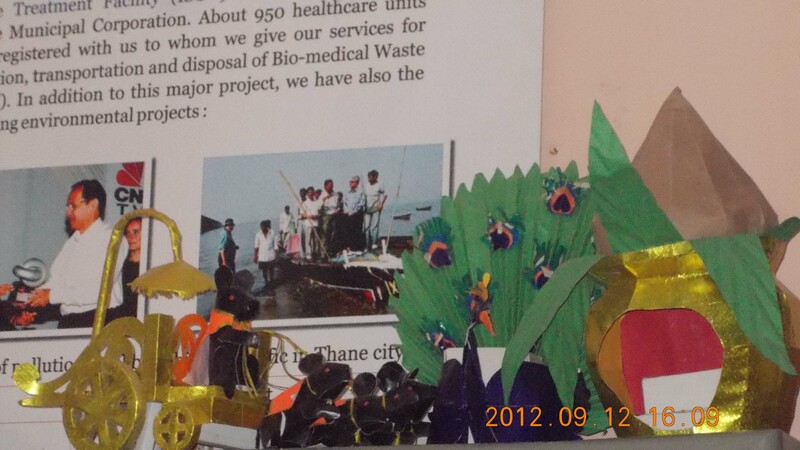 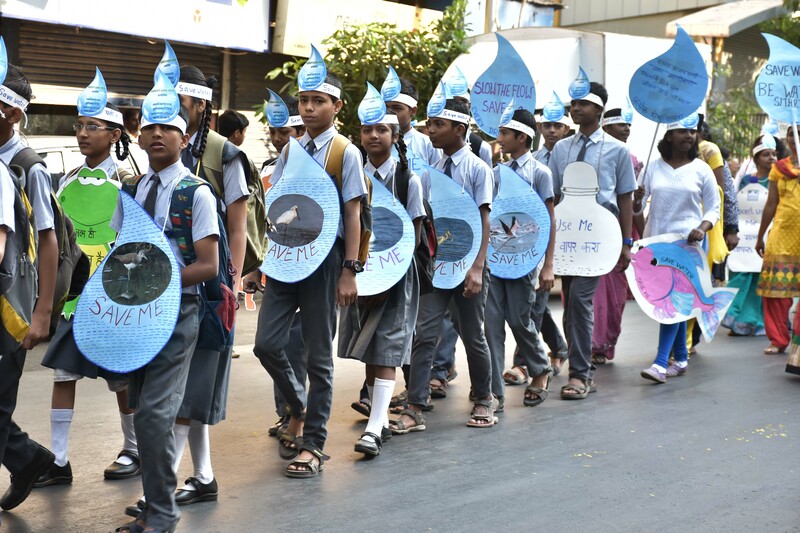 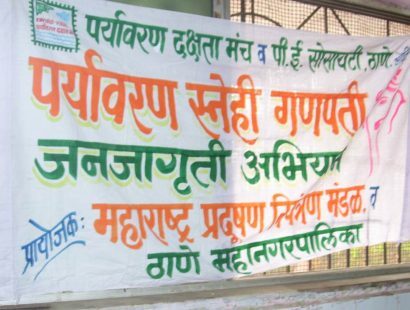 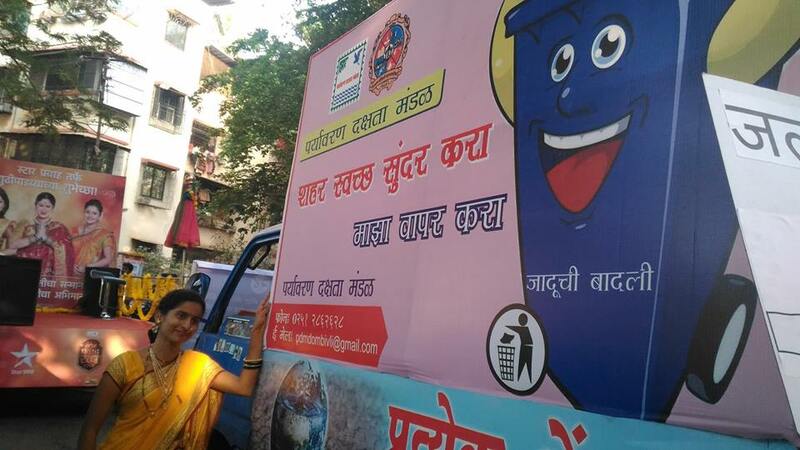 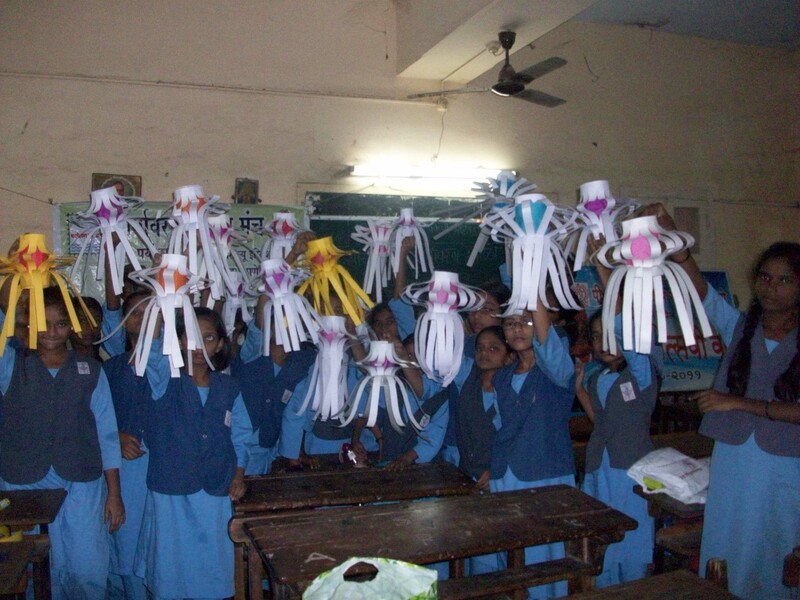 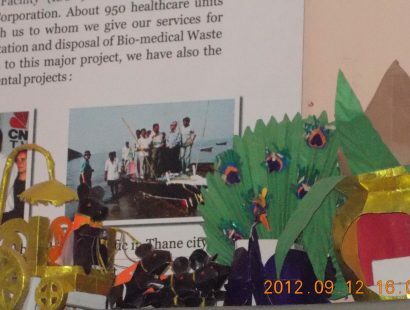 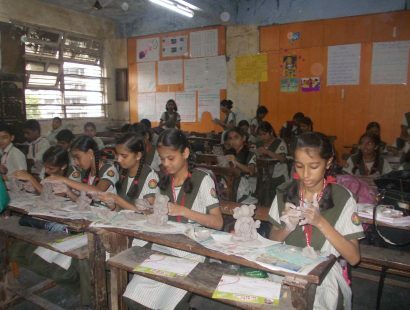 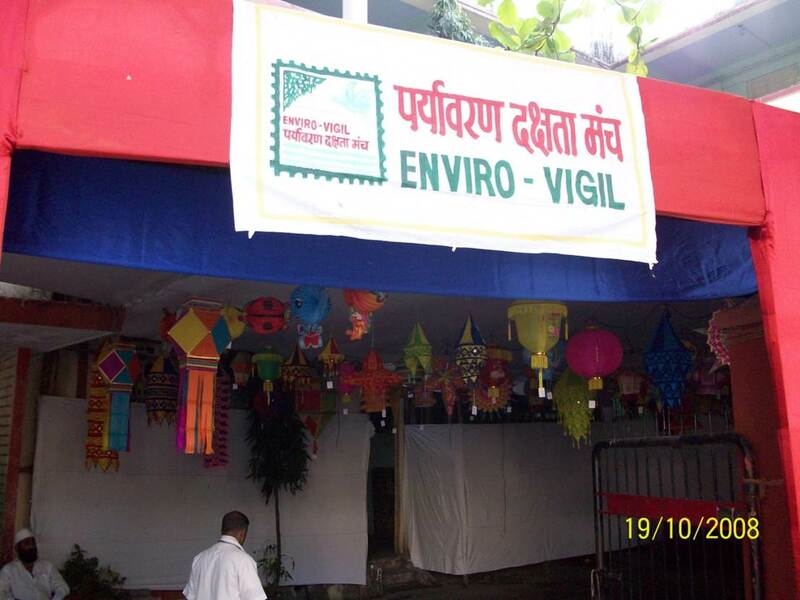 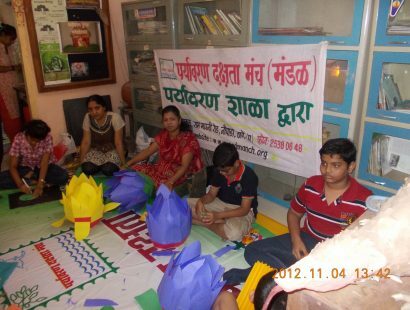 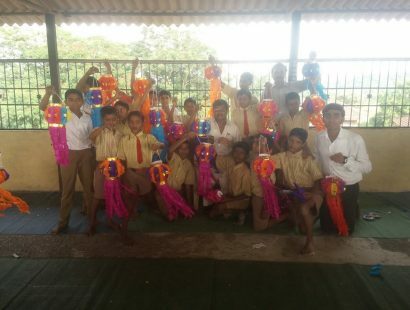 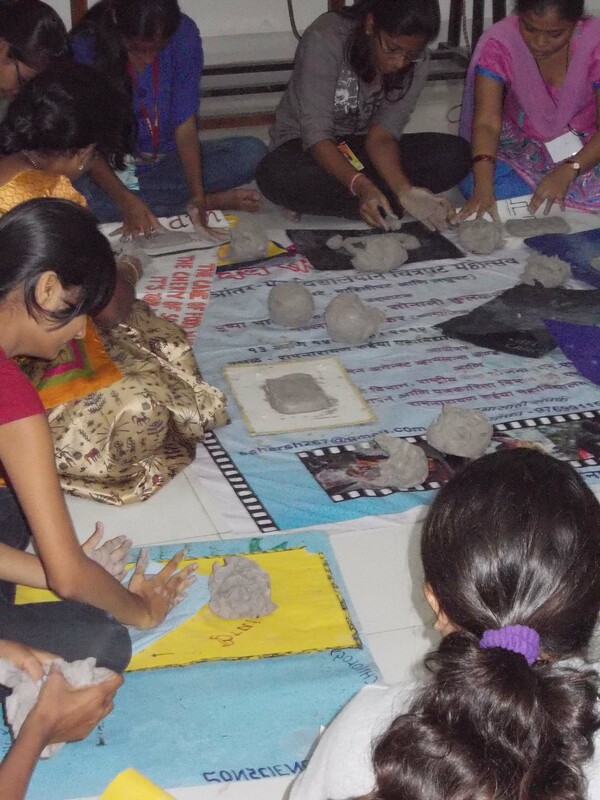 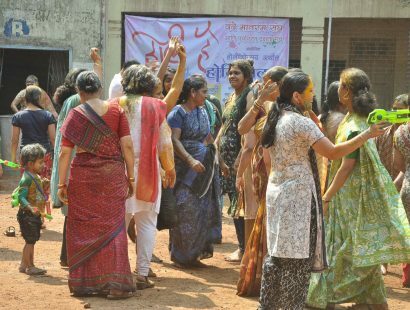 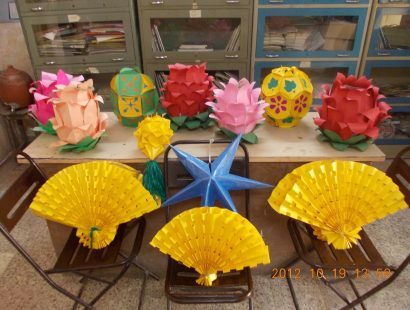 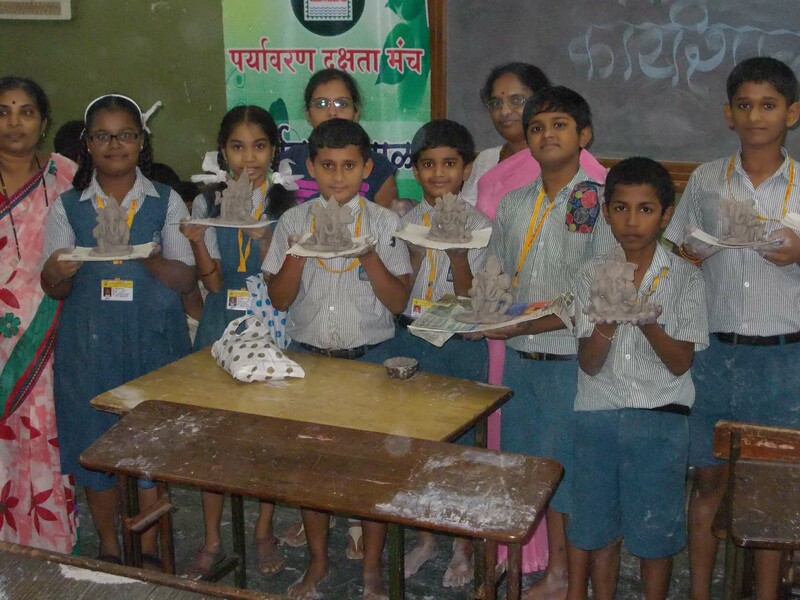 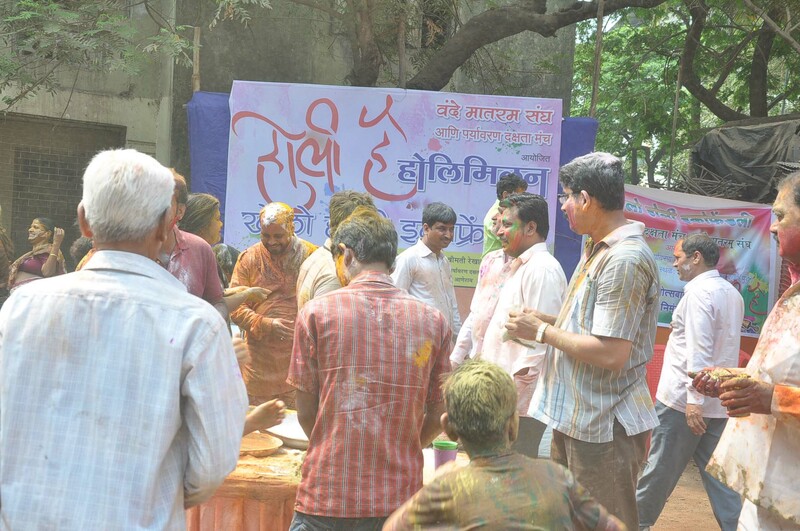 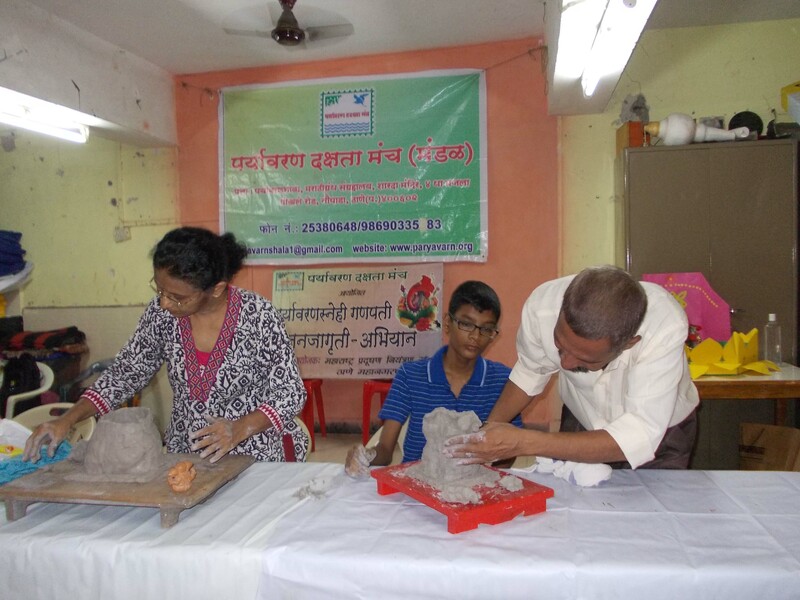 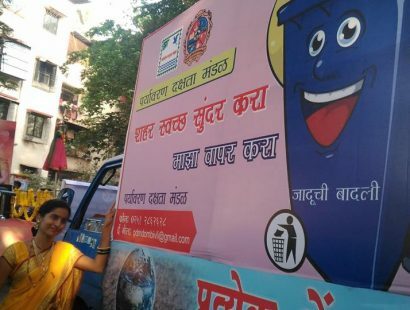 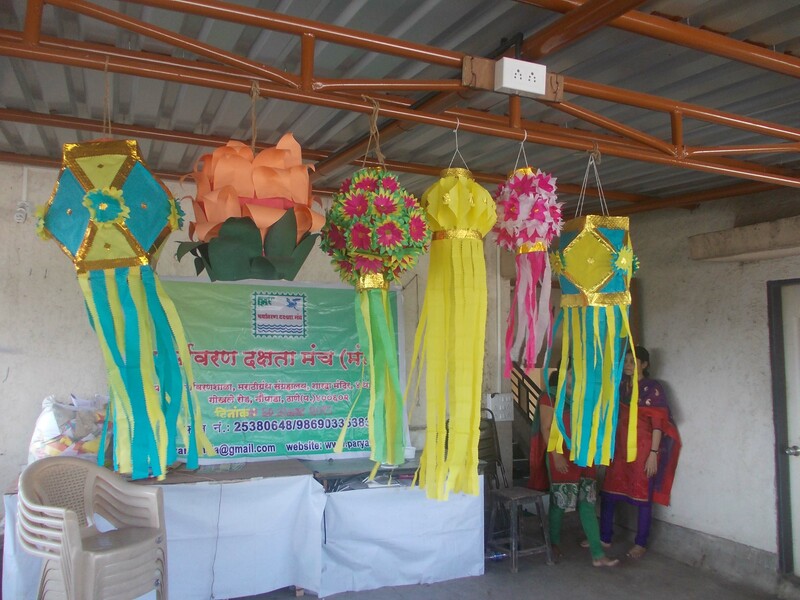 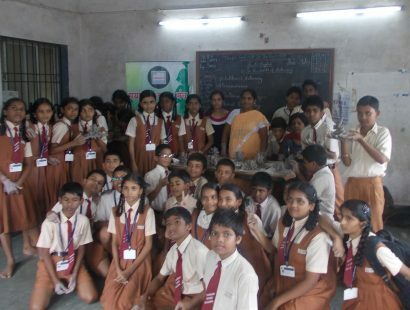 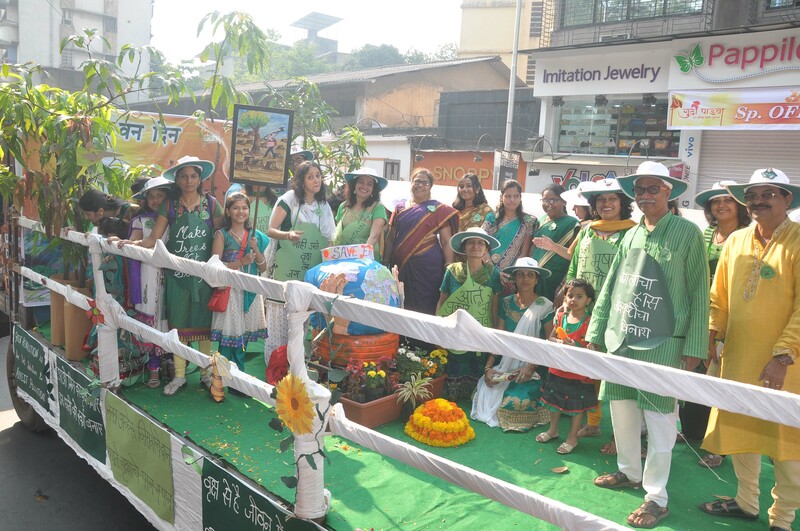 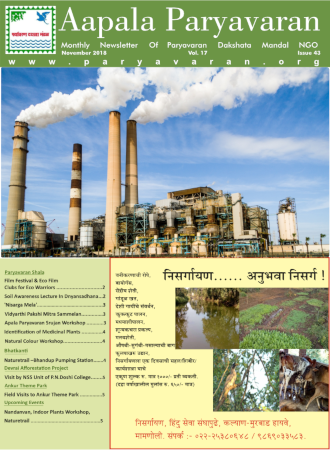 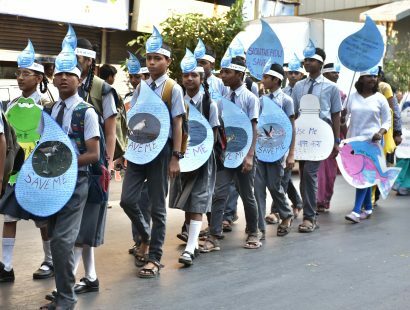 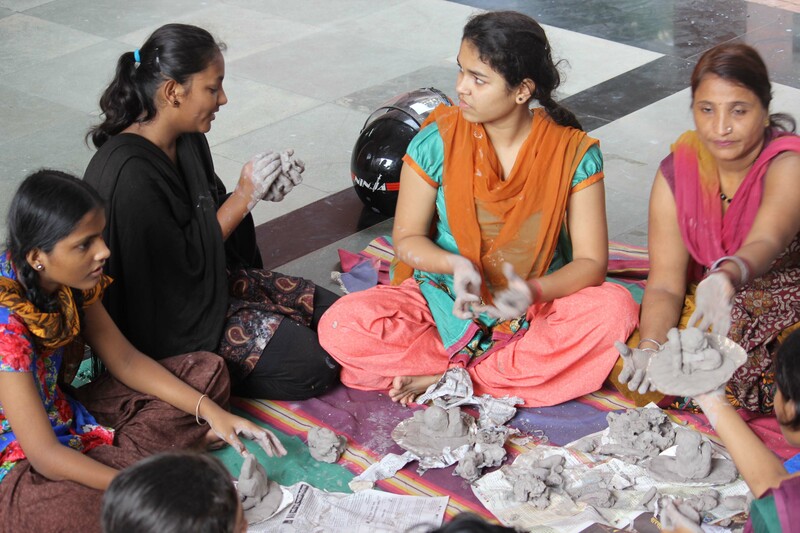 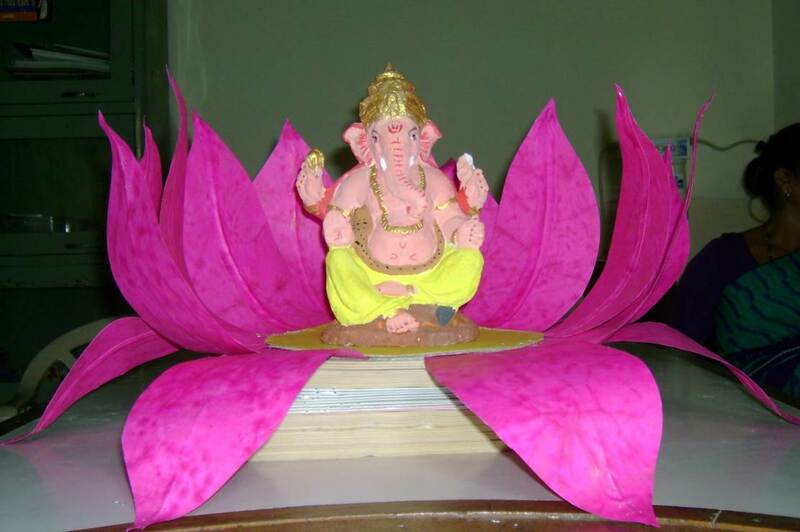 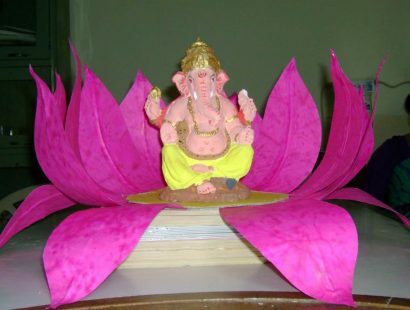 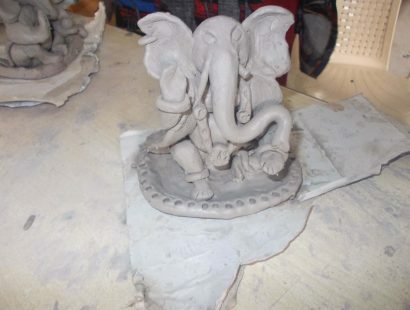 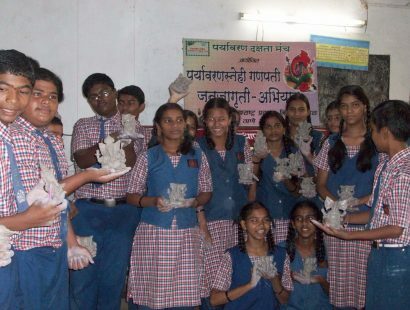 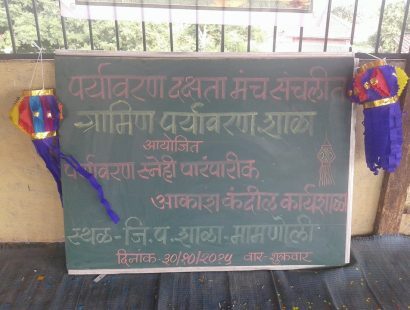 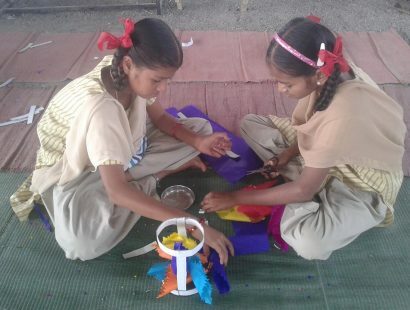 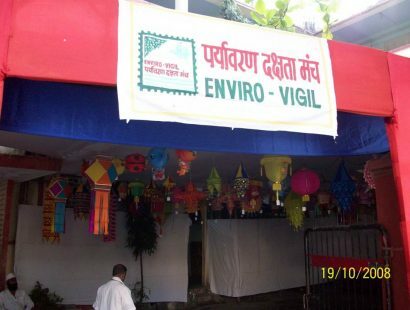 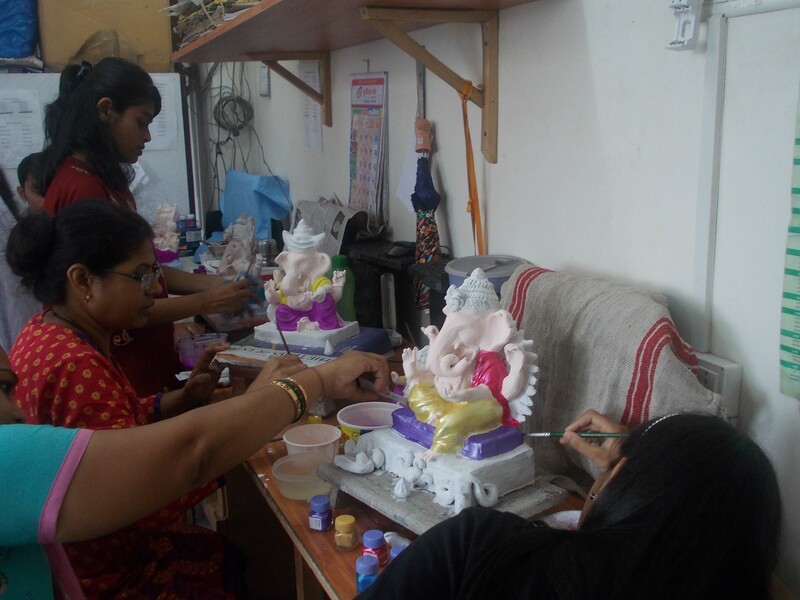 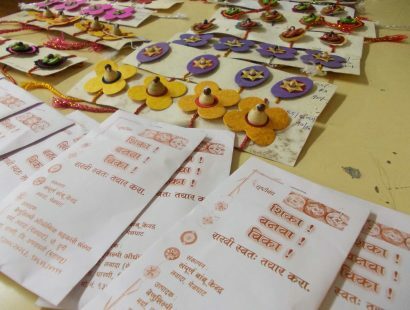 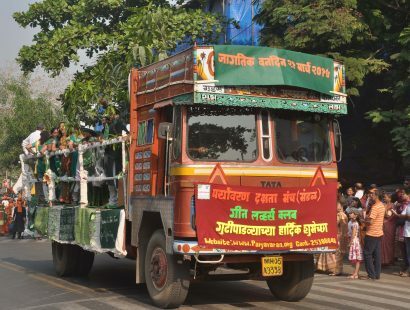 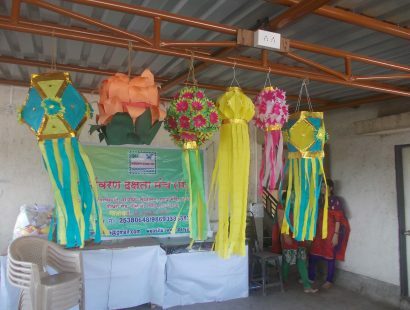 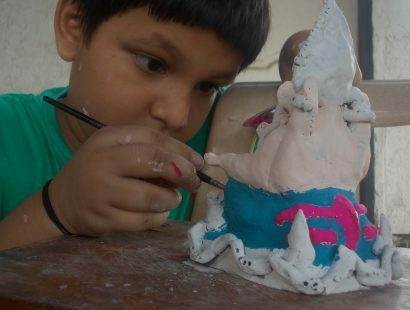 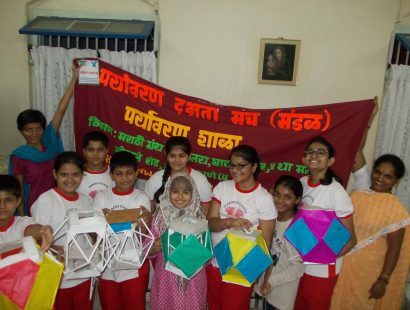 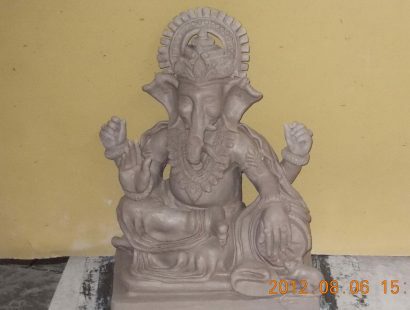 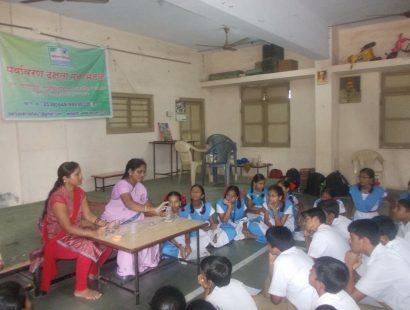 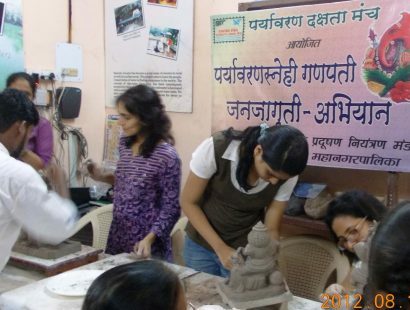 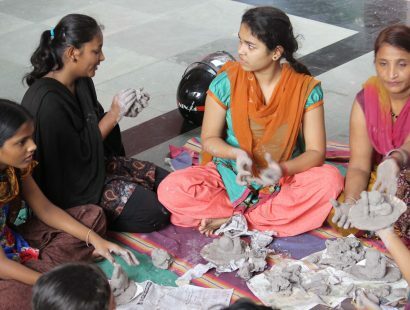 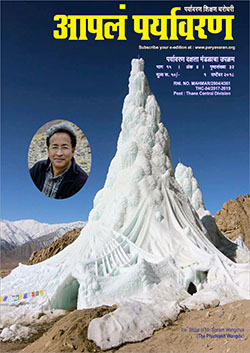 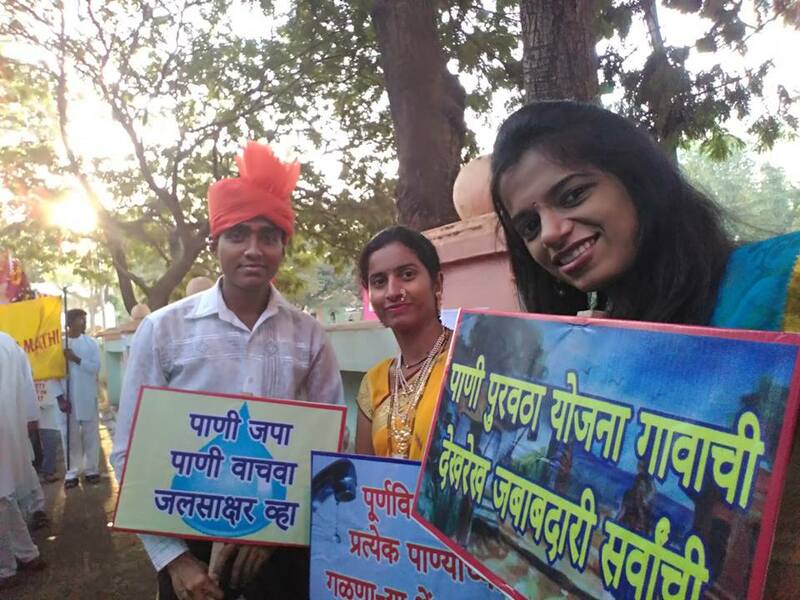 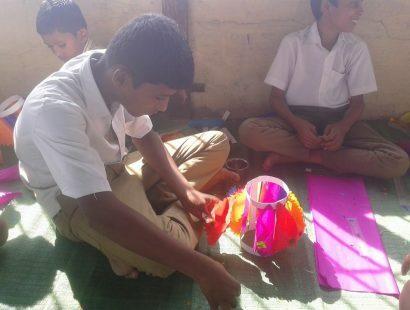 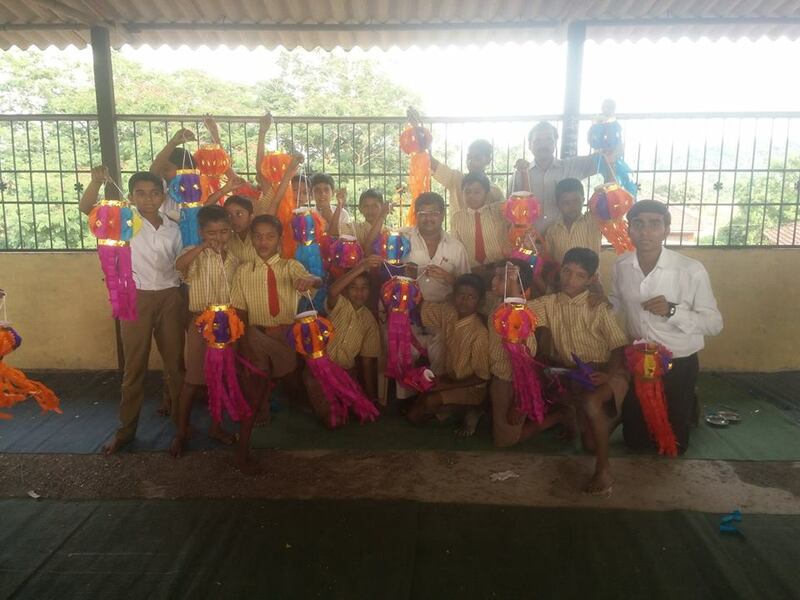 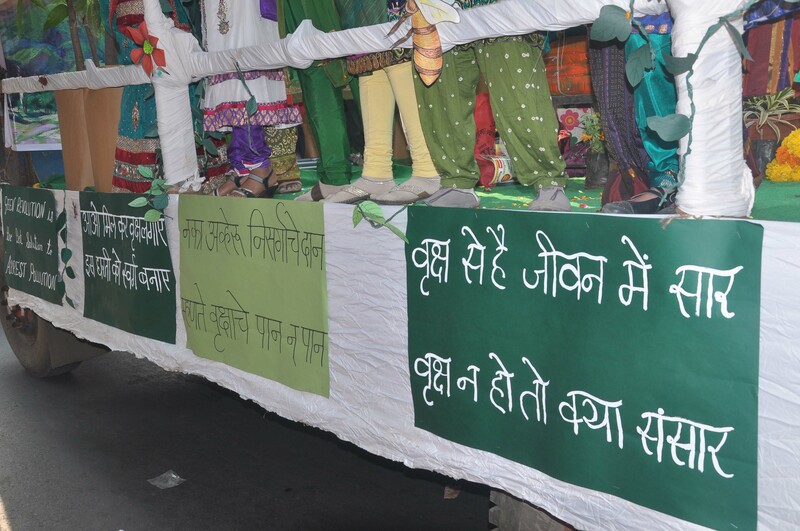 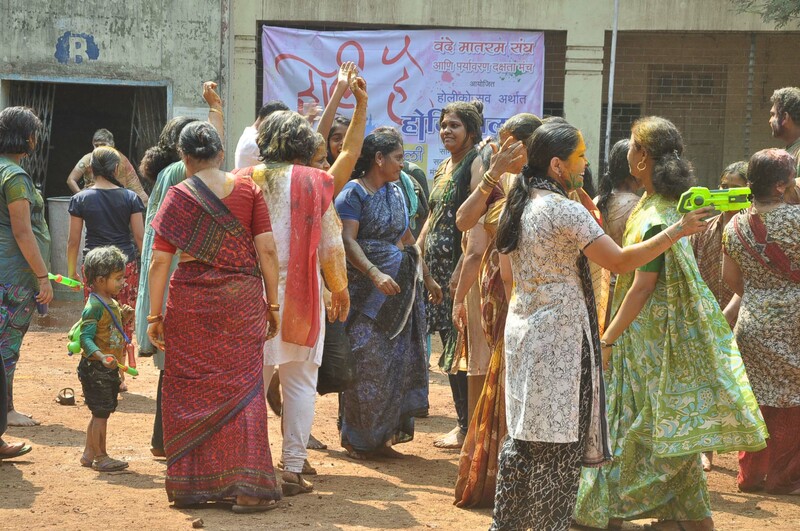 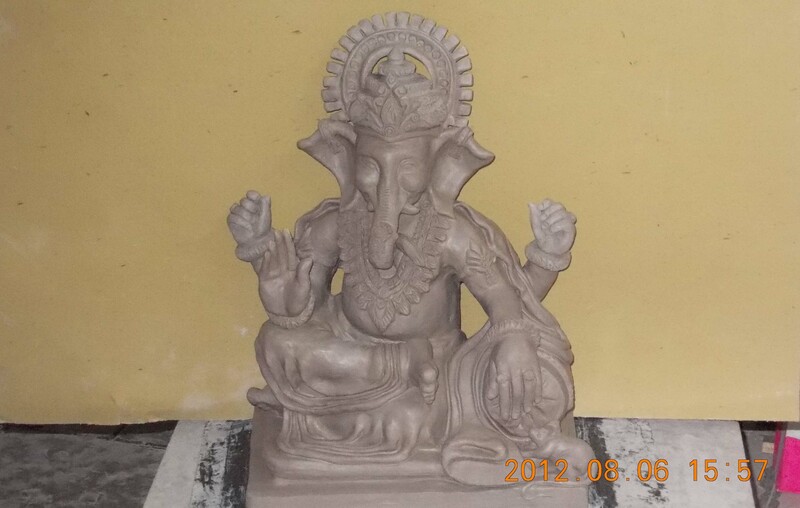 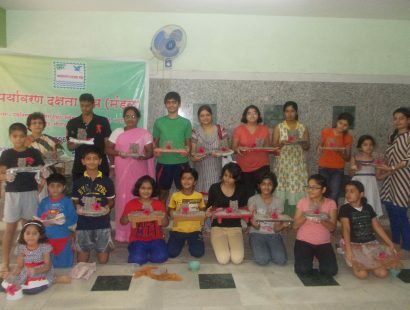 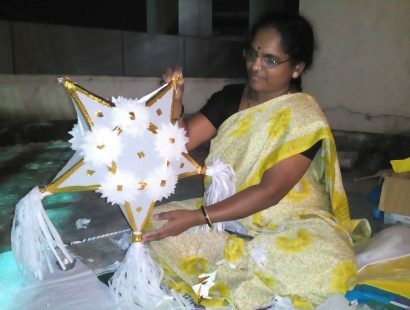 Different aspects of the festivals like idol making with clay and paper pulp, colouring of idols with water colours, decoration with paper, reduction in height of idols and encouraging immersion in artificial tanks, is propagated under this banner in different schools, colleges, societies and even corporate places. 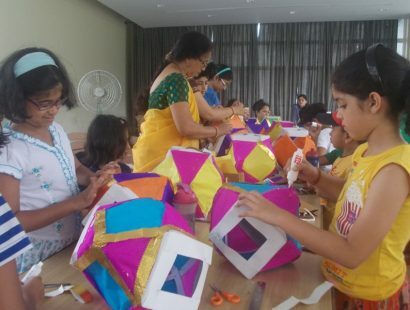 Bursting crackers during Diwali is most popular amongst children. 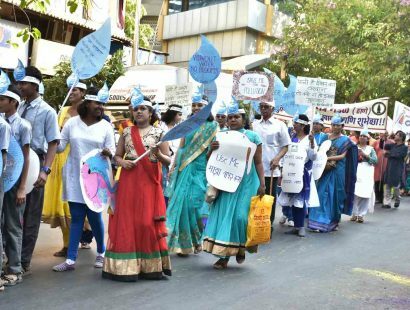 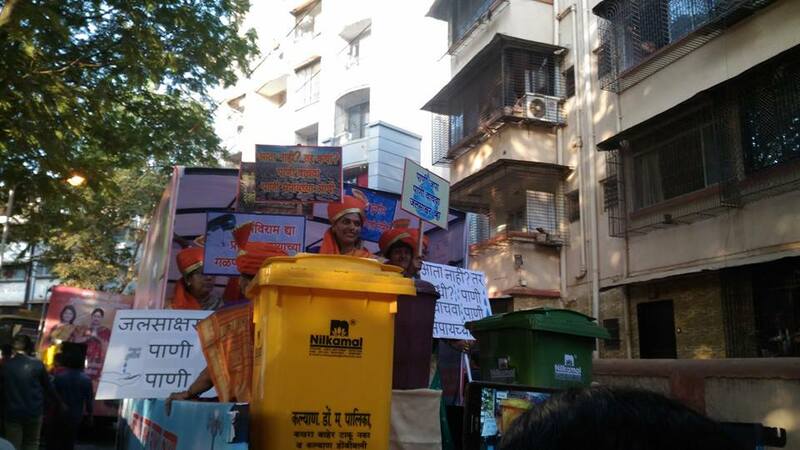 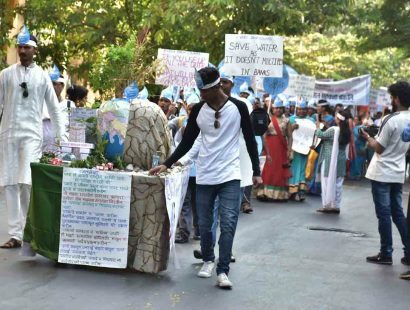 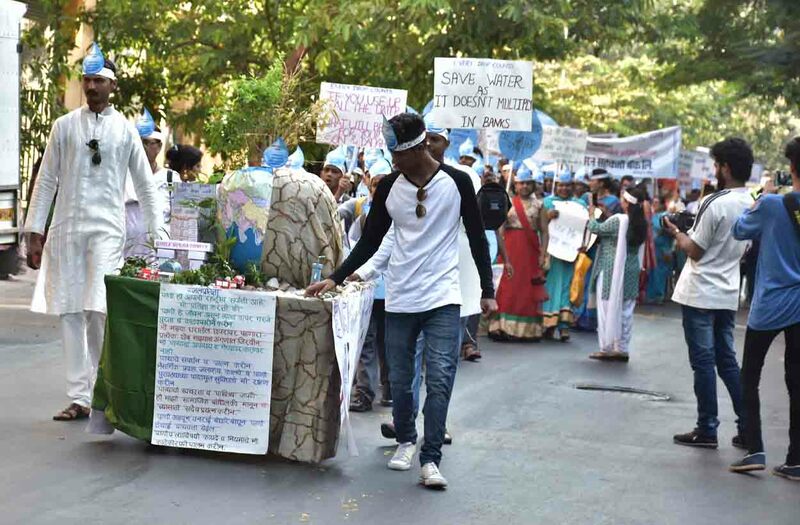 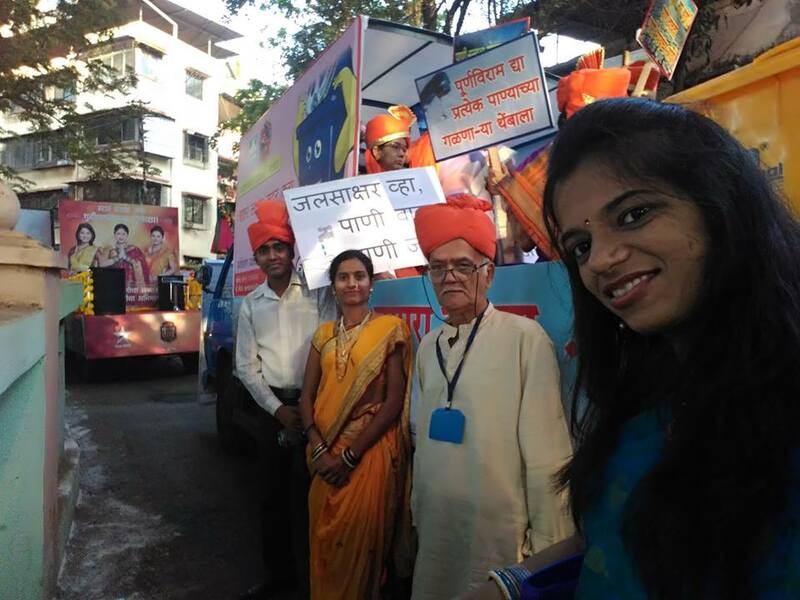 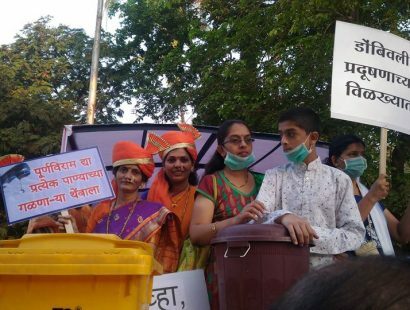 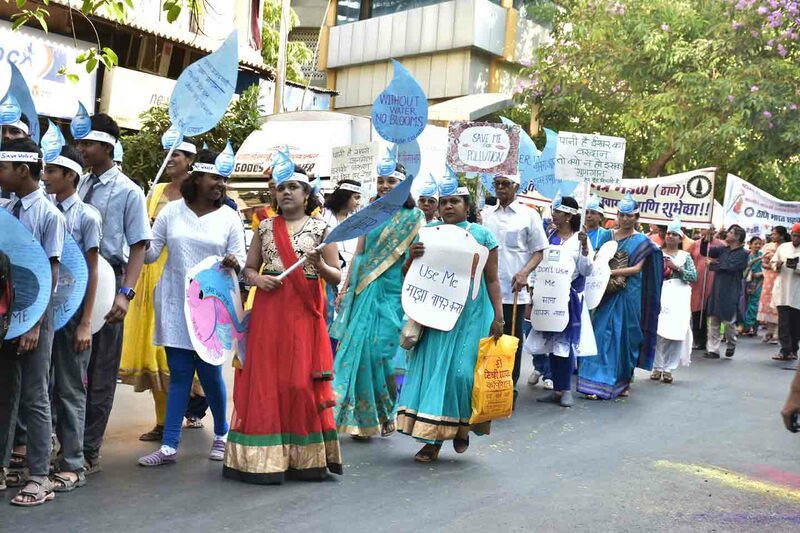 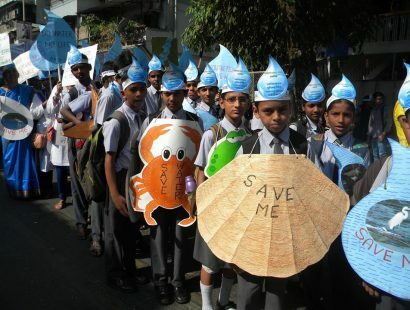 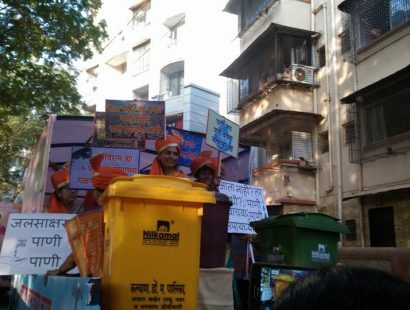 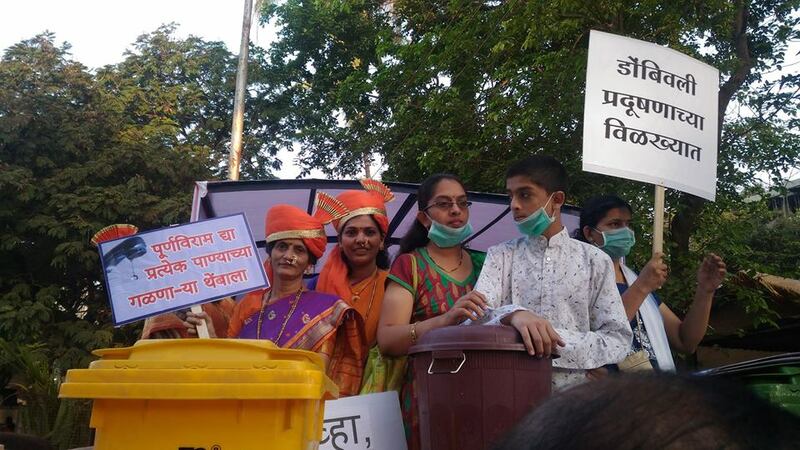 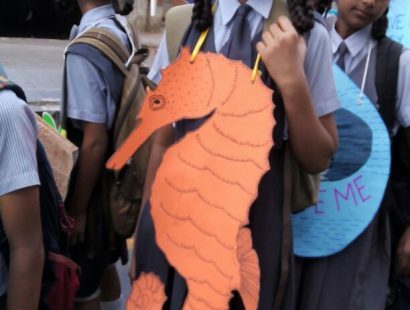 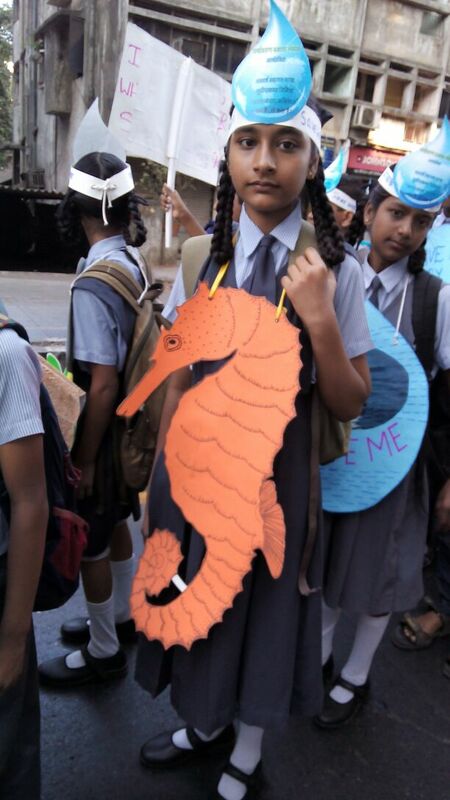 Thus creating awareness amongst school children about the ill-effects of crackers mainly with respect to noise and air, is the purpose of PDM team. 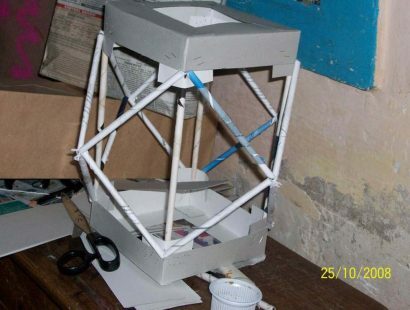 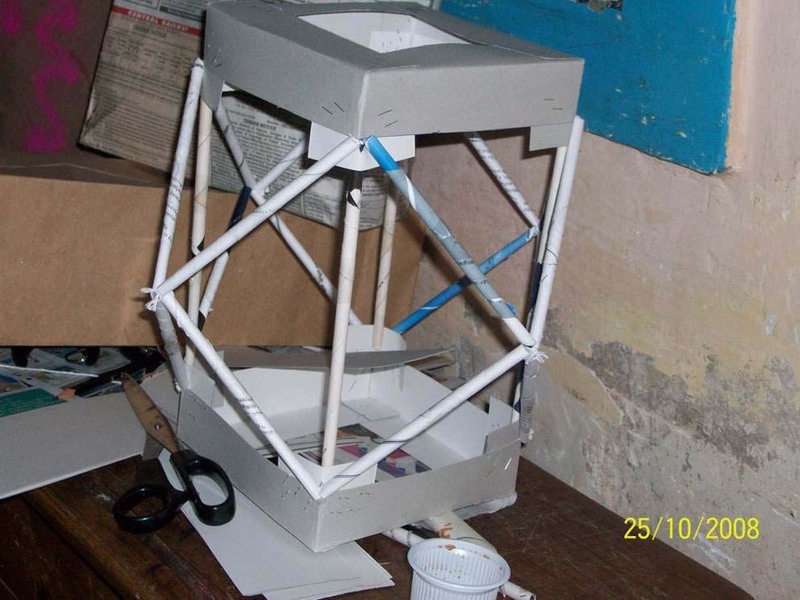 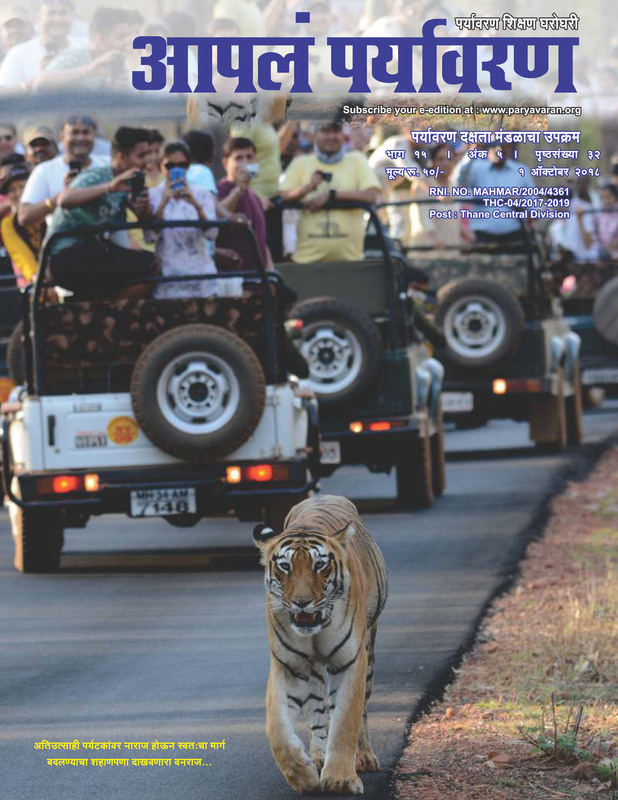 Students are also involved in actual noise monitoring using suitable systems. 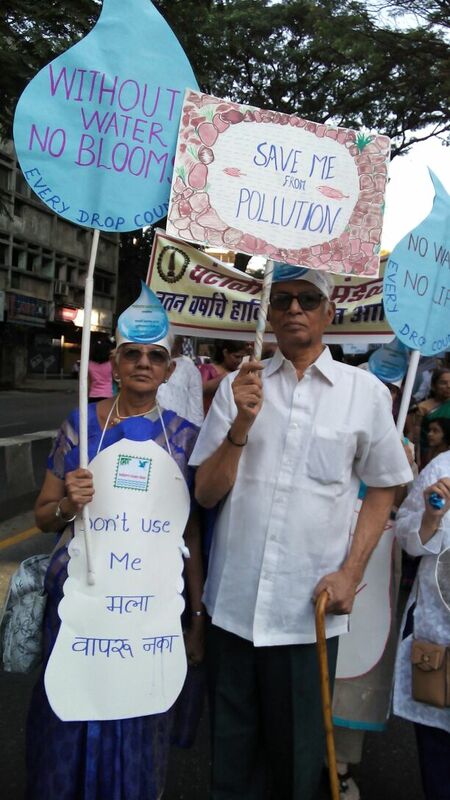 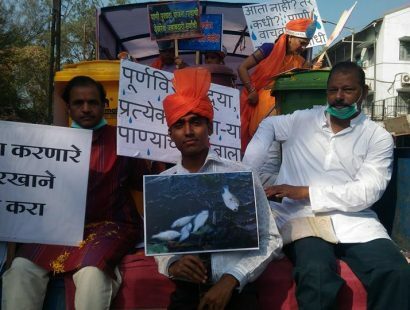 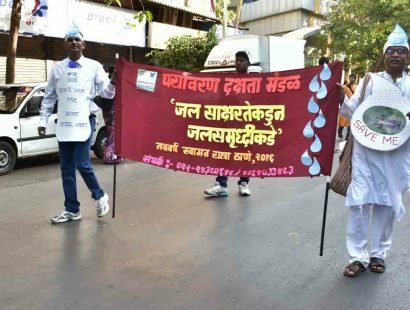 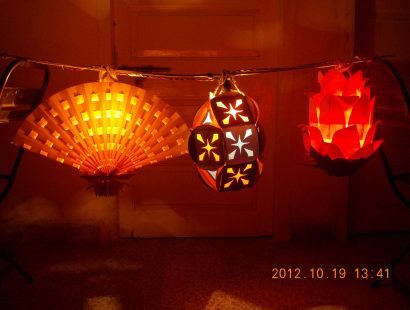 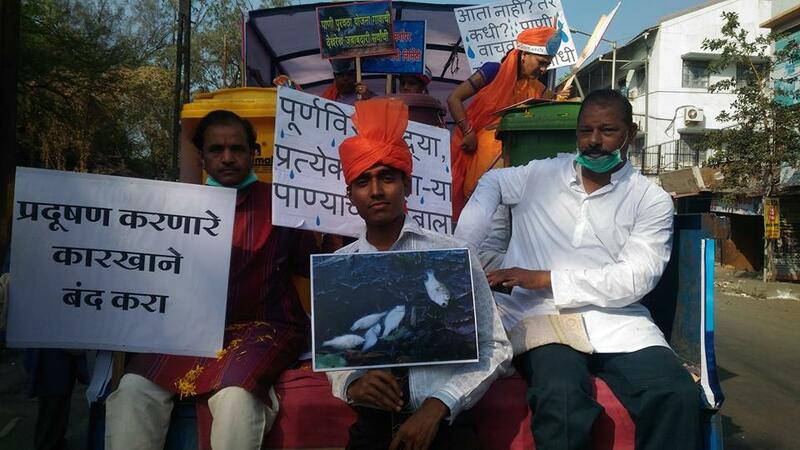 Last two years we are celebrating Gudhipadva(Hindu new year) by pollution free Sky lanterns instead of crackers. 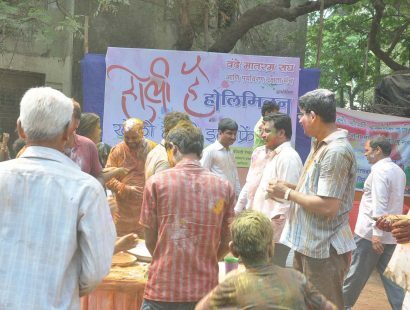 Everybody is now copying this new way of celebration. 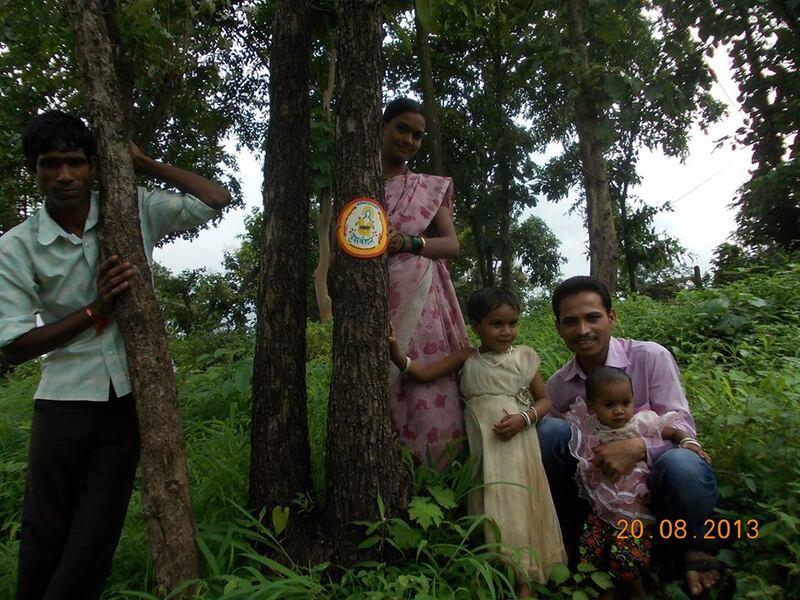 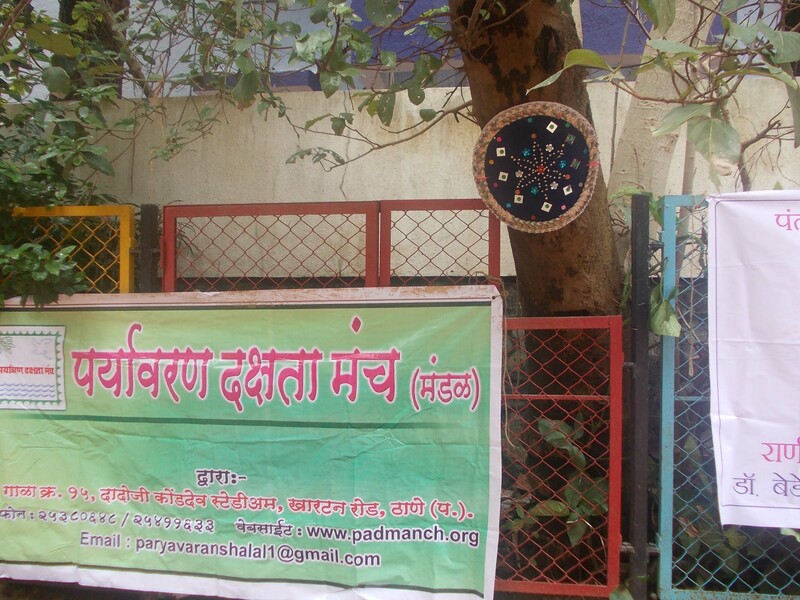 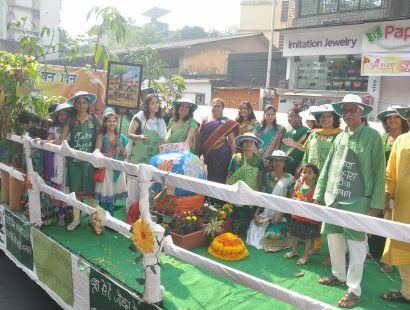 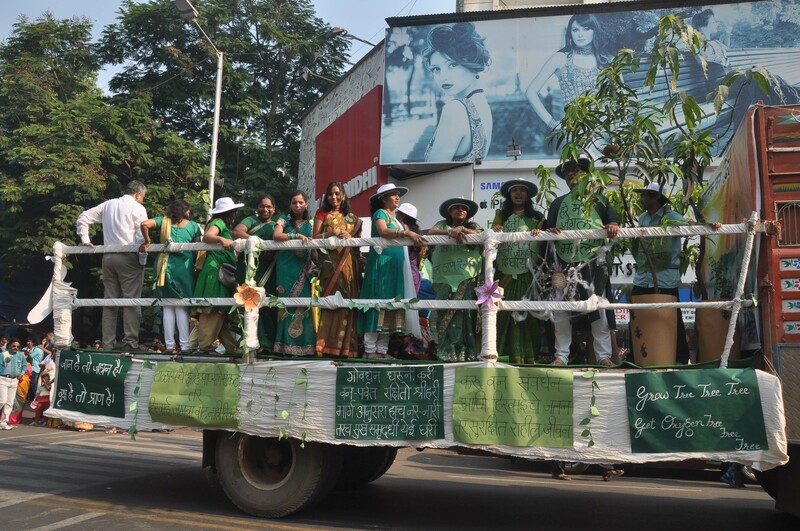 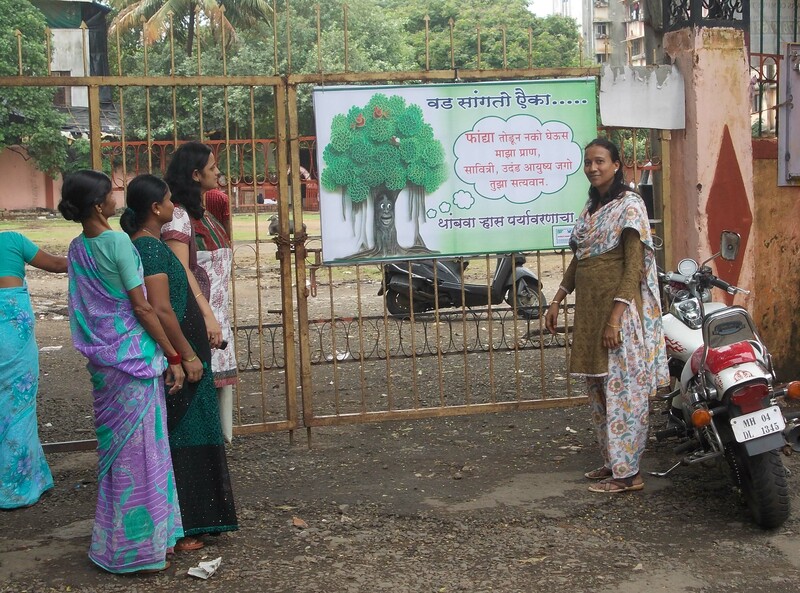 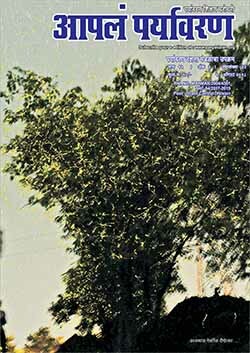 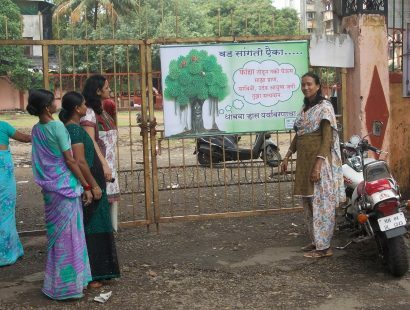 This is a symbolic act to adapt trees in one’s vicinity and know more about them. 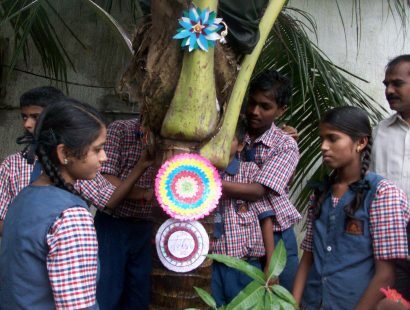 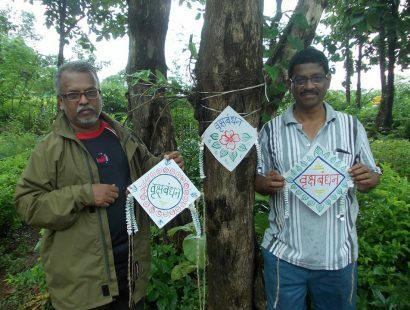 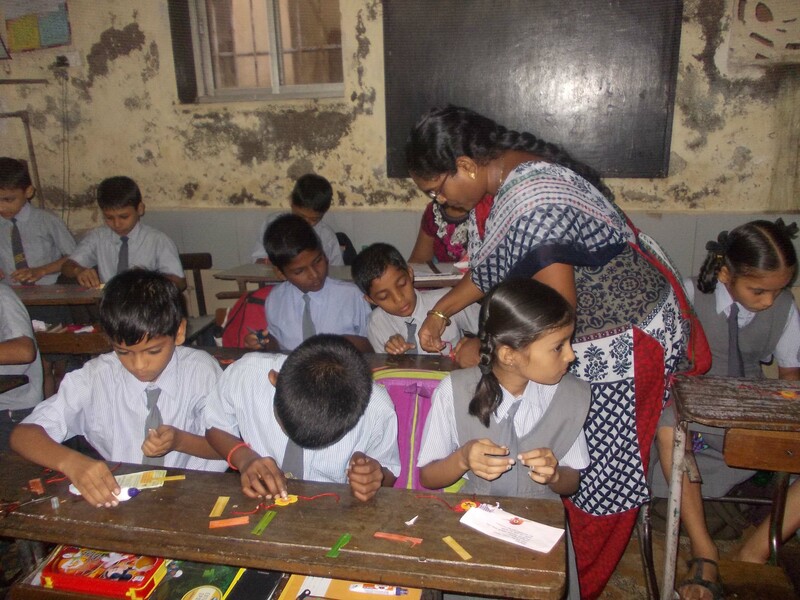 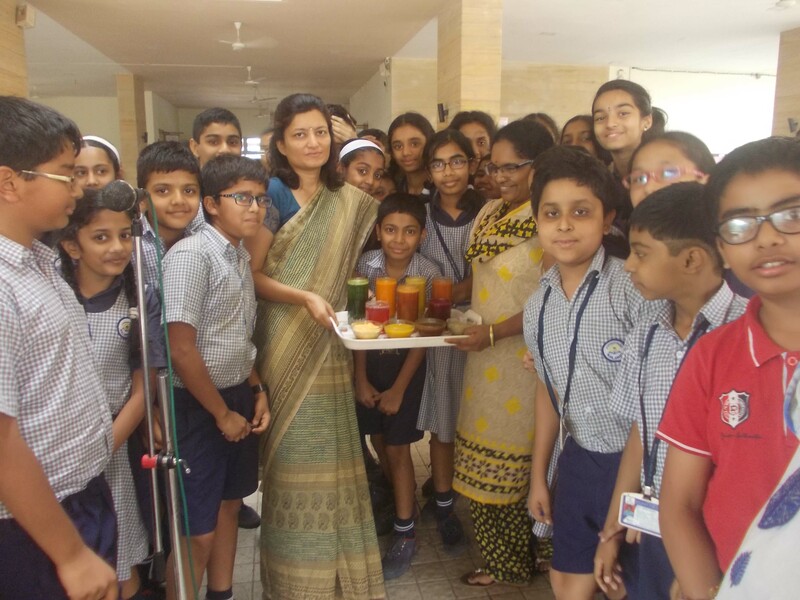 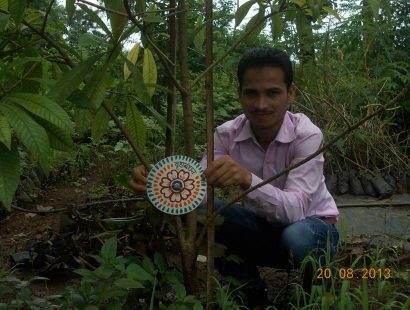 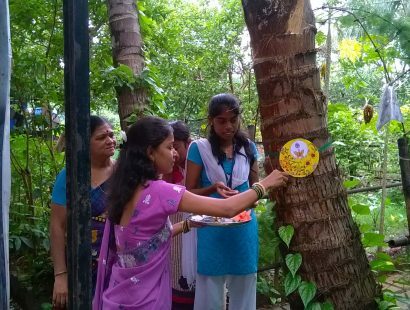 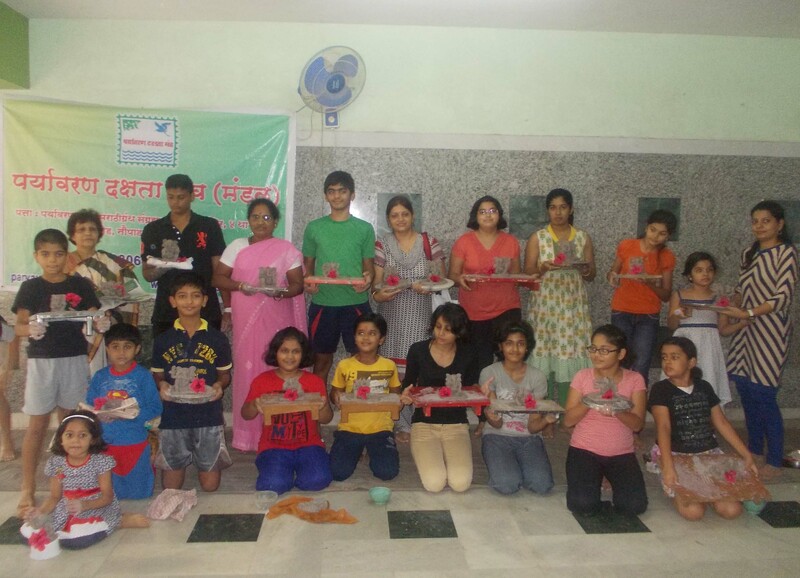 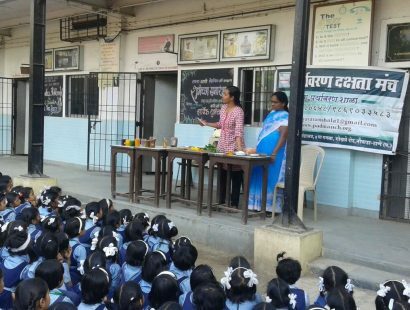 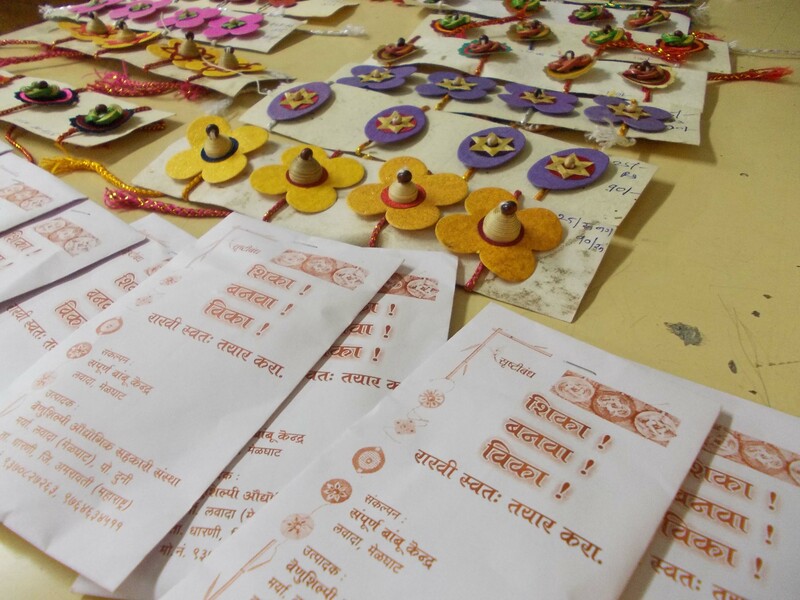 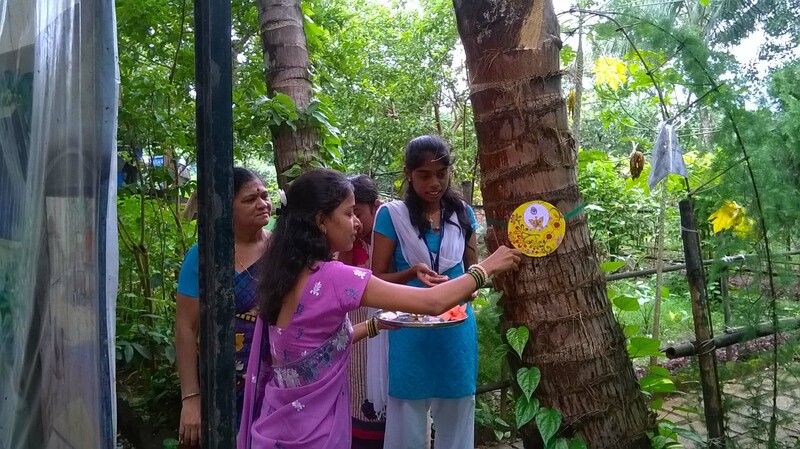 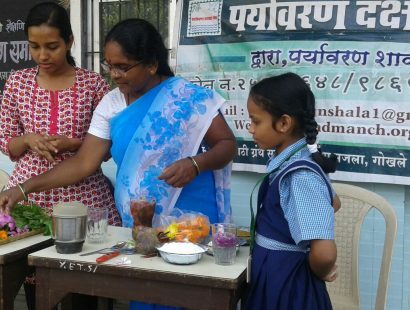 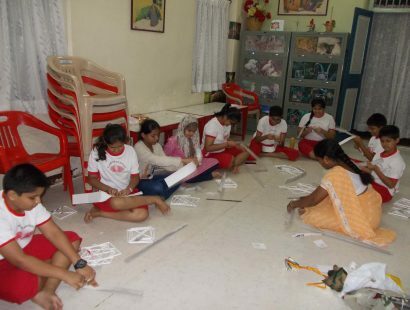 Very popular in schools, children make rakhis out of bio-degradable natural waste material and tie it to trees in their school campus.